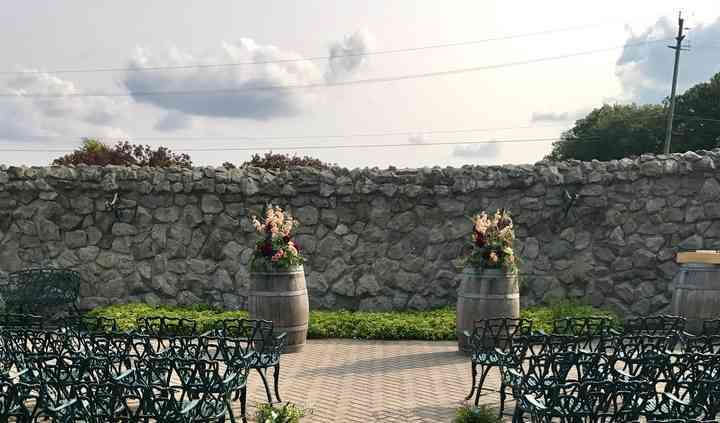 Thank you for your interest in Hernder Estate Wines as your wedding venue! 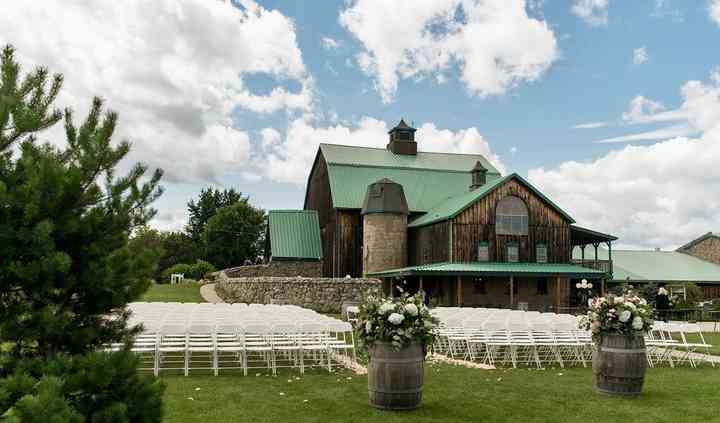 The facility here is really quite spectacular as they have two banquet rooms and two different outdoor areas for your ceremony. If you want to view the property, an appointment isn’t necessary. They are open 7 days a week from 10-5. Angel is at the Estate Monday thru Friday and Bev is there on the weekends to show you around. If you are visiting on a weekend please come before 2:30 as the rooms are most likely occupied after that. Ceremonies are not included in the per person price as not everyone gets married here. Lawn ceremonies are at 3:45 and Patio ceremonies (East side off wine store) is 4:30. They do have two rooms available, each with room minimums to ensure your all inclusive package applies. The Alexis Room has a minimum requirement of 90 adults. This room can hold 160 people. The Victoria Room’s minimum requirement is 160 adults and can accommodate 250-300 people. Yes they also accommodate two weddings at the same time but the only thing you share is the parking lot. If you would like to tentatively hold a date, with no obligation, they can certainly do that for a week, but a deposit is required. The remainder is due 10 days prior to your wedding date at your last meeting. As your package explains - this is only payable via money draft (as e-transfers have limits and they can only take this for deposits only). Various cuisine options are available with Hernder's kitchen team. The wedding package specifically includes a 7-hour bar with unlimited Hernder wine during dinner and a plated dinner buffet with hand carved meat station. A decadent dessert buffet is also included! Gottfried Hernder and his family emigrated to Western Canada in 1939, quickly relocating to the "Grapeview" area of St Catharines. 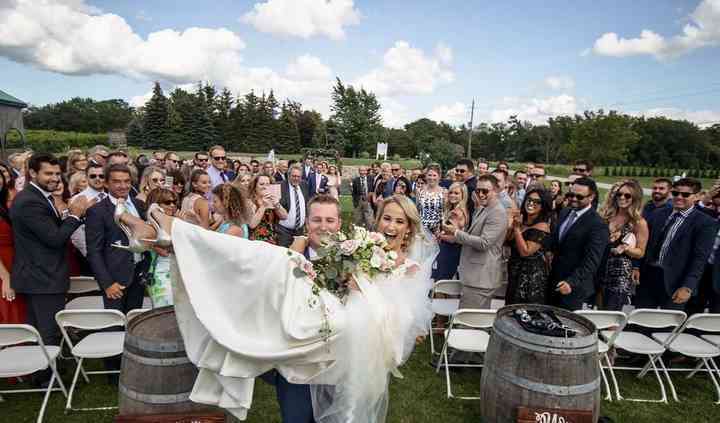 Today, Hernder Estate Wines produces more than 25 varieties of VQA wines produced from 100% Ontario grapes plus an amazing location to host special events. These people know what they're doing and give fantastic advice when planning. They also allow you to customize a number of things to make your wedding yours! 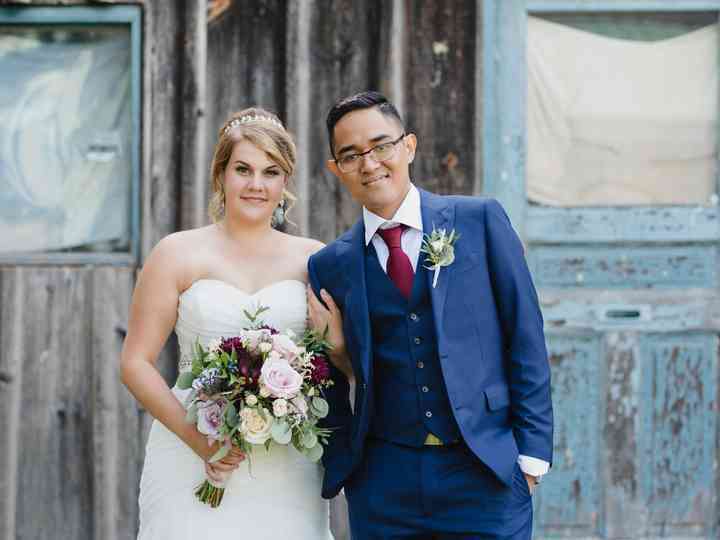 I really wanted poutine at my wedding and ... Read more they made that possible! I also emailed Angel about an important question on a long weekend like 2 weeks before my wedding and she got back to me within 24hrs on the sunday! These people were amazing to work with and our wedding day was the most spectacular event. It couldn't have been more perfect! From start right up to our wedding day hernder made our dream wedding a reality! It's all inclusive, DJ is rolled in to the price as well as an open bar and the food was incredible and almost to much ... Read more to eat. you get unlimited wine that is made at their winery all night. although they say the bar is closed during dinner our bartenders still went to tables and took orders. I would highly recommend this location as we took all of our beautiful pictures right on site making it an all in one stop ! penny and angel are amazing to deal with and penny will ensure the bride and groom have no stress the day of the wedding!!!! ceremony can be done in or outside and is 1500 dollars extra. well worth it for the outside location infront of the pond, there is also a patio location. I. total 3 different spots ! highly recommend price seems steep and I the husband complained how much it was however it was not only the day of her dreams but it also was mine and I have no regrets with the amount after all was said and done. we both lit up that day seeing everything come together ! truly a dream come true. Hernder Estates did such an amazing job with our wedding, I couldn't be happier. The food was delicious, the staff were super friendly and professional and everything worked out just as it should. ... Read more Penny was so good at her job, you would not know that she was taking care of two weddings at the same time. It was everything I could have ever hopedit would be, and everything was taken care of. Definitely worth having your wedding here, I would recommend it to anyone. We were so impressed by our experience at Hernders. We loved the venue immediately - great photo ops and the perfect feel for our wedding. The wedding coordinator was full of zest and kept the whole ... Read more wedding party at ease - she clearly knew what she was doing. Our guests raved about the food and service. The bartender in particular made a great impression on everyone with his knowledge of wine (during the wine tour) and throughout the night. Service was top-notch all around. I would highly recommend Hernders for your wedding! Hernder's is absolutely incredible! The scenery is breath-taking, the venue is stunning, the service is just top-notch, I literally can't say enough good things! My father-in-law got very sick the ... Read more week of the wedding and the night before was told he was not allowed to eat any solid food at the wedding. I asked Angel and Penny what they could do for him, and they brought him a LARGE bowl of beef soup broth (which was not on our menu) with no pieces in it so that he had something to eat at the wedding. It meant the world to us and my father-in-law. We have received nothing but over-whelming compliments from everyone about how amazing the staff and venue were. I would recommend them 100 times over. I did not have to worry about A SINGLE THING on the day of the wedding, Penny had it all handled flawlessly! Do yourself a favour and book them for your wedding, you DEFINITELY will not regret it!